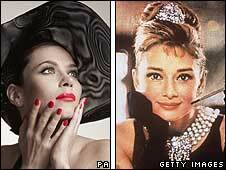 Actress Anna Friel is to star in a West End stage production of Truman Capote's novella Breakfast at Tiffany's. The ex-Brookside star will play Holly Golightly, the role Audrey Hepburn played in the Oscar-winning 1961 film. Friel, 32, said she was "delighted to have been given the opportunity to play one of my all time favourite heroines". The show will open in September at the Theatre Royal Haymarket, where Sir Ian McKellen and Patrick Stewart are now appearing in Waiting for Godot. Sean Mathias, that show's director, will also direct Breakfast at Tiffany's, which has been adapted for the stage by British playwright Samuel Adamson. American actor Joseph Cross will co-star with Friel as William 'Fred' Parsons, the young writer captivated by Holly's flighty charm. Best known for her role as Beth Jordache in long-running Channel 4 soap Brookside, Friel was recently seen in US TV series Pushing Daisies. Later this year, she will appear alongside Will Ferrell in the family adventure Land of the Lost. First published in 1958, Capote's novella captivated readers with its depiction of good-time girl Golightly. Mathias said he hoped the production would be "an unashamedly glamorous evening of wit, style, tenderness and music".